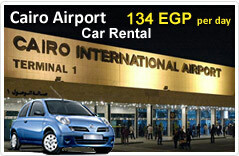 Alexandria International Airport is also known as the El Nouzha Airport. This airport is located in the Alexandria city in Egypt and is distanced some 7 km in south eastern section of the city center. The airline provider of the airport includes Bahrain Air, Flydubai, Royal Jordanian, Turkish Airlines and EgyptAir. At the Alexandria International Airport, the passengers are greeted by the warm and cordial services of the airport staff.